Can you feel it? In the air? IT'S SPRING! Yes, people, the dreaded winter is finally coming to an end. Although I spent a great deal of time inside this last week due to an international design jam I was part of, I did make sure to take some time off and go outside. 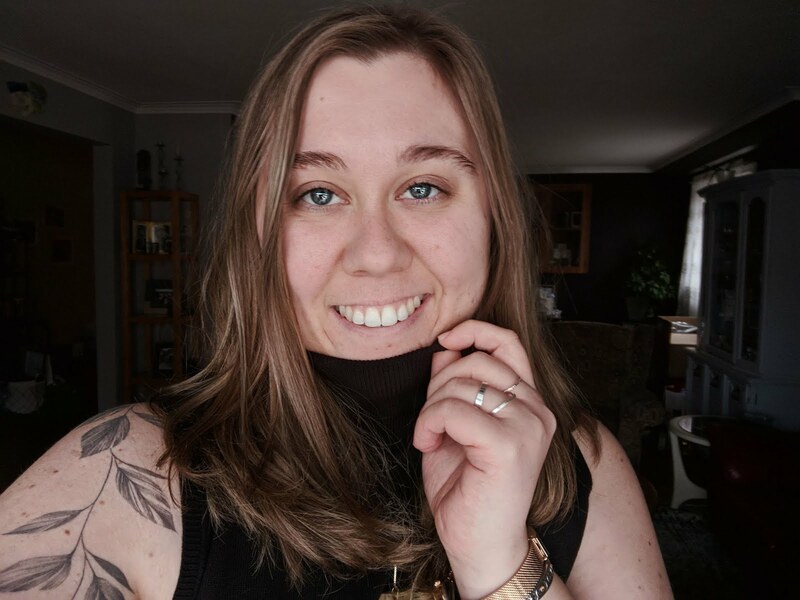 Spring is my second favourite season (after Autumn) and I love the cool breezes, the soft rain, and the fact that I can shove that fat winter coat away for a long time. Something else that spring offers is growth. Spring symbolizes fresh starts and new life. I try and take advantage of this concept and apply it to different aspects of my life. Maybe some new jeans or trying new health regimes + products. This spring I've taken advantage of new health regimes and purchased a jade facial roller and a dry face brush. Your face is the first thing people see and I wanted to start really taking care of my face in more ways than just a good skincare routine. I'll be uploading a video soon about my skincare routine in the spring/summer but for now, let's talk about face care. During cancer treatment, your body swells and retains all kinds of fluids and poison. Typically, cancer patients get this thing called "moon face" which essentially just means your face gets very round and puffy, loses its natural glow for some nice red splotches. I wish I knew about these tools during my treatment. What I did know was that massaging my face really helped with the swelling and just relaxed all my muscles. For anyone going through treatment, I would highly recommend both or either of these tools! 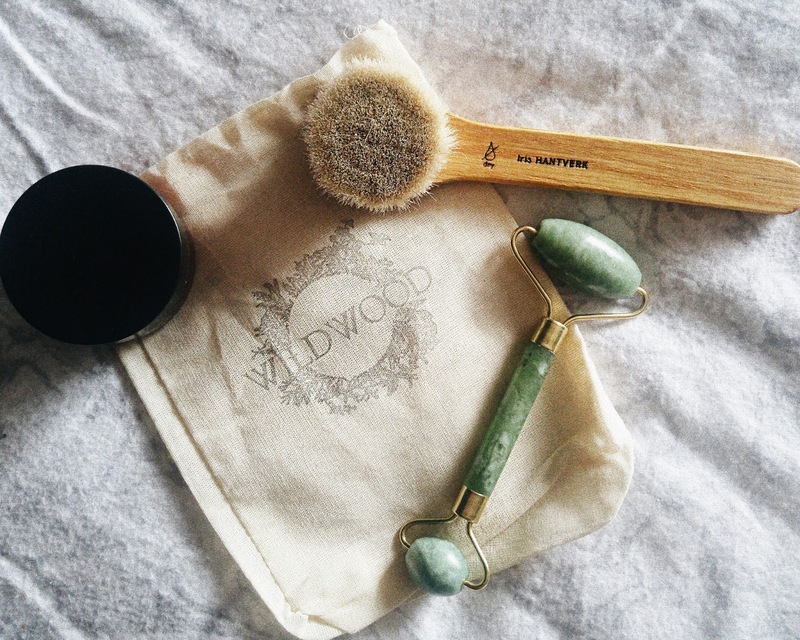 Jade rollers are a Chinese skincare tool that promotes de-puffing and tightening your face. The tool dates back to traditional Chinese Medicine and is used today by Alternative Medicine Doctors. The cool jade on your skin will help in your efforts to increase circulation, drain clogged skin and promote the detox of body toxins. It's also said to help produce collagen balance your chi and help with sinus issues. For some extra healing, the tool helps your facial muscles relax and reducing inflammation. The best way to achieve this is to put the roller in the fridge for 10 minutes before use. Now I know what you're thinking, "Can I just use a small paint roller?" 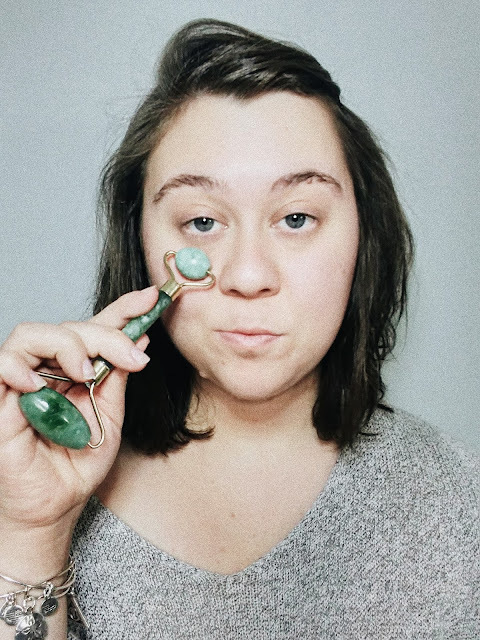 Well, I guess there's no reason you can't but you won't get the actual benefits of using the jade crystal on your face which ward off stress and anxiety. Personally, I'll pay the extra 10$ for this added benefit. I've only been using the roller for 2 days, and I do notice a difference in my face as well as my eye bags which are massive. Dry brushing is amazing! Let me tell you, you can do this on your face but also your body and it is great for cancer patients and survivors because it helps promote the flow of blood throughout the body and more importantly it aids in lymphatic drainage and helps reduce cellulite. Now, a facial dry brush is different than a body dry brush so make sure you buy the right one. A dry face brush is soft and gives your skin a very subtle massage. It's comparable to a stiff makeup brush. I personally like the one from Sacred Wildwood on Etsy, but they also have a store on the East side of Toronto. Same as the body, a dry face brushing can help stimulate the lymphatic system and promote the detox of toxins or other blockages from your body. Dry brushing has another added benefit: exfoliation. 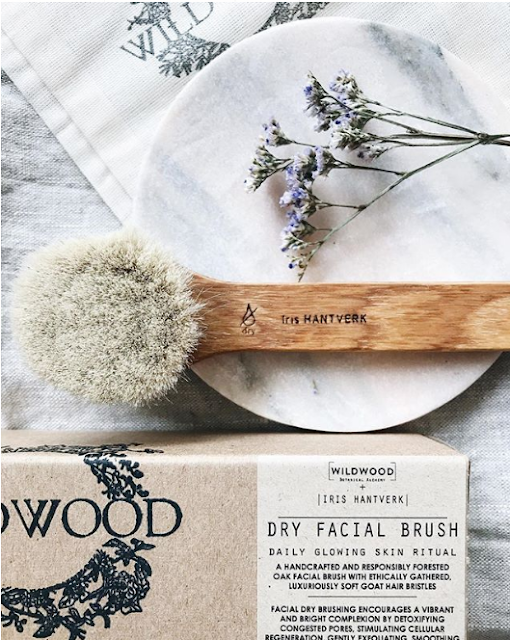 "Dry brushing is very useful for increasing circulation and exfoliating the skin,"
"It's a really affordable and easy way to keep skin free of congestion at home." - San Francisco–based cult aesthetician Kayla Franzblau. It's better for the environment than all those little exfoliating beads which wash down the drain and into our water and when used regularly it makes your skin glow! I have been using mine for a month now and wow, all I can say is that it is amazing. 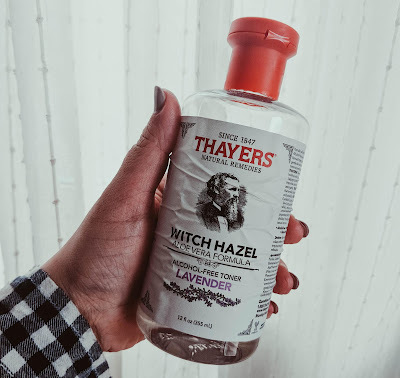 You want to make sure that you're starting with totally clean skin, that way you're not opening up all your pores only to clog them with makeup or other irritants. Step 2: Start at the chin and work your way up. Like with body dry brushing, you should always brush with gentle upward motions, away from the direction of your heart (to encourage circulation). Brush from your chin to your hairline on one side of the face, and then move to the other side. Light, gentle strokes will do the trick. This should not hurt. Step 3: Give your neck and decolletage some love. As any facialist will tell you, your neck is part of your face too. Repeat your gentle brush strokes up from your chest, across your neck to the bottom of your chin. Step 4: Finish with a nutrient-rich oil or serum. If you have time, you could apply a mask after dry brushing. If not, go straight to the moisturizing step. I recommend an oil because it will penetrate deep into those newly opened pores and lock in all the moisture and nutrients. Top it with a serum for an added dose of hydration. As a side note, Sacred Wildwood makes the BEST natural dry shampoo if you're in the market for something really special and chemical free. Using all-natural ingredients this dry shampoo makes it so easy to get up and go on days where I don't wash my hair!